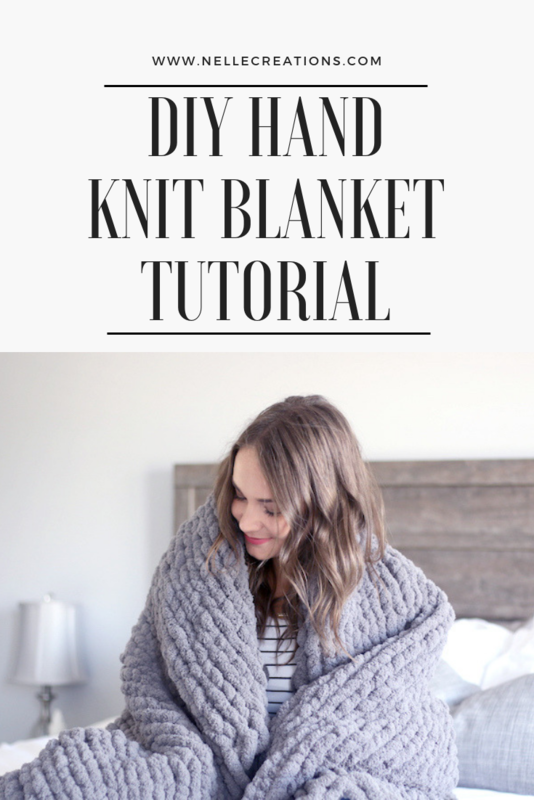 Last year I created a DIY Hand Knitted Scarf so this year I wanted to show you guys how to hand knit a chunky blanket! There is no pattern or needles required. 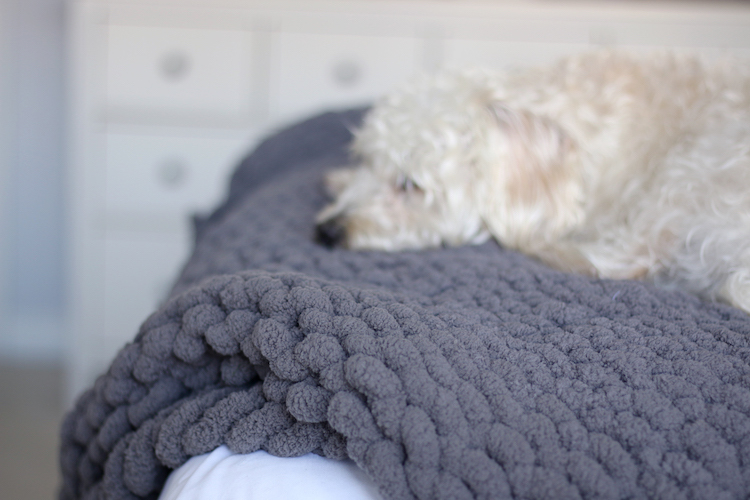 All you need is 7-8 balls of yarn and your hands. I picked up this yarn at my local craft store and it’s perfect for this DIY. 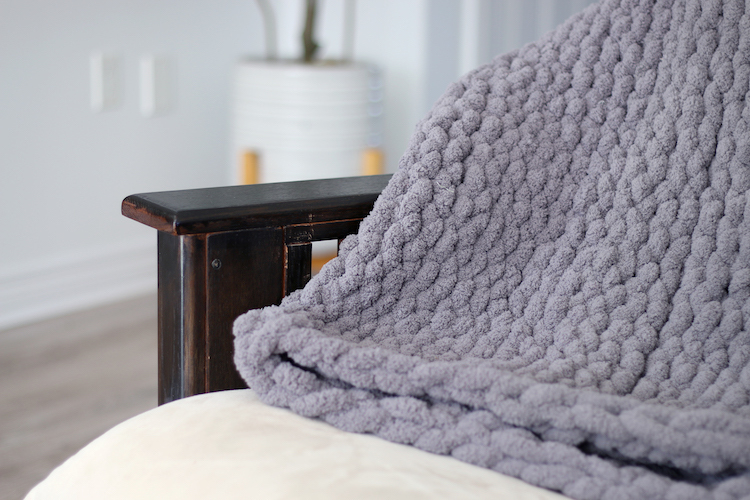 Most of the chunky blankets that I’ve seen in the past use wool and I personally find them so itchy and they shed EVERYWHERE. I even bought one earlier this year and ended up selling it because I could never bring myself to use it. However, this material is so soft that you won’t have any issues like you would with wool. 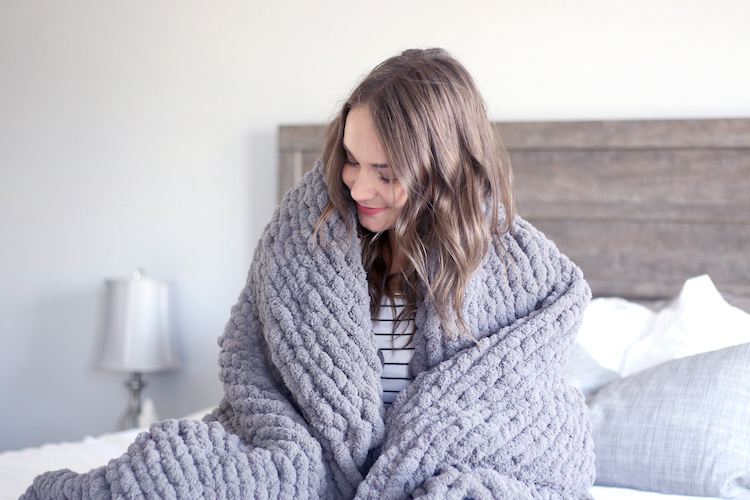 If you’re looking for a blanket that is the same size as mine, you’ll need to make it 35 stitches wide. From there I just kept hand knitting the chunky blanket until I ran out of yarn. When I came to the end of one ball, I sewed the two ends together or alternatively, you can tie them together. Overall, I used 7 balls of yarn but I think if I had one more I might have used it as well. 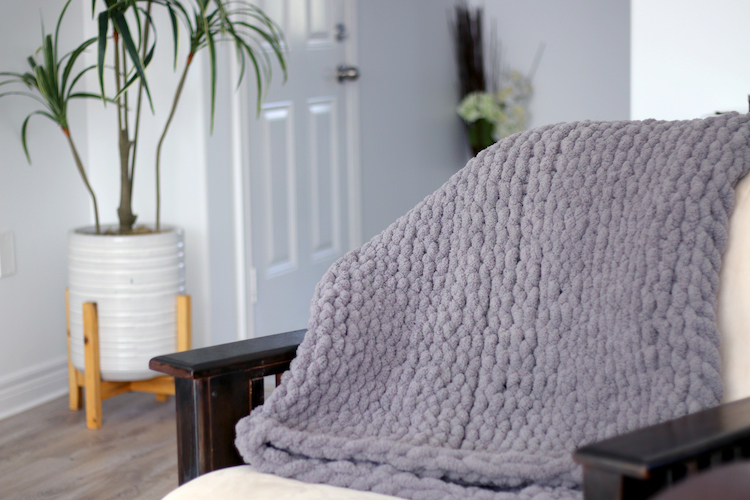 So, to recap for this DIY Hand Knitted Chunky Blanket you’ll need to make your blanket 35 stitches wide and use 7-8 balls of yarn!